In my previous post I was explained how to get latest tweets in your website, that post is based on dynamic websites and the method used on that article is twitter widgets, But here latest tweets Joomla Module will help you to get your tweets in your Joomla website easily. The main advantage of this module is , compatible with Joomla 1.7 , Joomla 2.5 and Joomla 3.x. Don’t need to worried about your CMS Updates. Ok what are the advantage of using JTweets Module over other similar module from the JED(Joomla Extension Directory). Easy to install and Custom Styles. Limits Number of tweets to display. 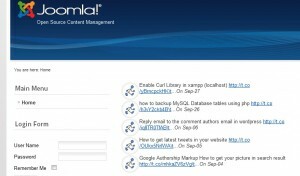 How to install the Module in your Joomla sites ? 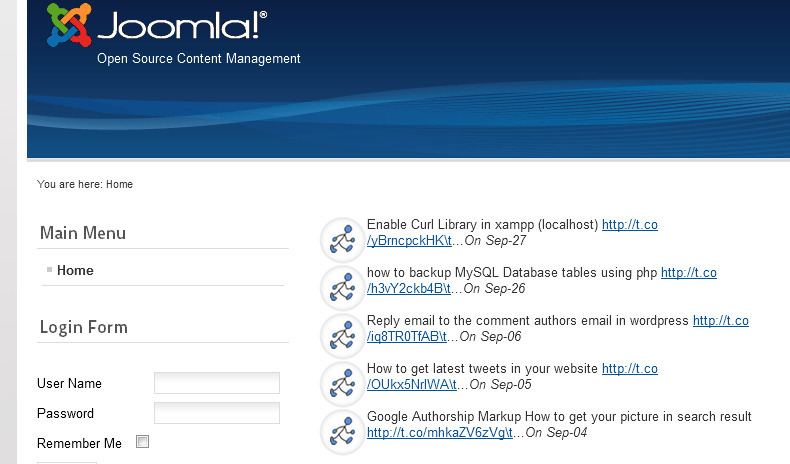 Login to your Joomla Administrator. Go to Module manager section search for JTweets and publish the module. Set the required parameters and set module position .Done!. Ok Lets check JTweets Module required keys how to get from Twitter.? Go https://dev.twitter.com/apps and sign in with your own twitter ID. If you have any issue with this module. Feel free to comment here. I will be here to support you :). This module is also listed in JED if you found this module is useful please rate and write your review. 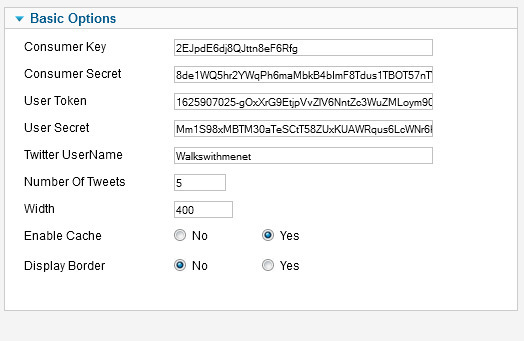 Post to twitter using PHP Oauth API..
How to get latest tweets in your website..